Heeft u een vraag voor Yusun Guest House? Voor reizigers die komen voor de bezienswaardigheden van Busan, is Yusun Guest House een perfecte keuze. Vanaf hier kunnen gasten genieten van eenvoudige toegang tot alles wat de levendige stad te bieden heeft. Dankzij de praktische locatie liggen alle belangrijke trekpleisters in de buurt van het hotel. Profiteer van de ongeëvenaarde dienstverlening en voorzieningen in dit hotel in Busan. Enkele voorbeelden van faciliteiten die dit hotel biedt zijn gratis wi-fi in alle kamers, wi-fi in openbare ruimtes, familiekamer, conciërge. Ervaar kamerfaciliteiten van hoge kwaliteit, inclusief spiegel, draadloos internet (gratis), rookvrije kamers, airconditioning, verwarming, om tot rust te komen na een lange dag. Daarnaast garanderen de talrijke recreatieve mogelijkheden dat u zich tijdens uw verblijf kunt vermaken in het hotel. Wat de reden van uw bezoek aan Busan ook is, het Yusun Guest House is de perfecte keuze voor een enerverende vakantie. Het hotel is in een oud gebouw en kan wel een opknapbeurt gebruiken. Maar het is schoon, en de staf is 110% behulpzaam en aardig. We had a bit of a hard looking for the place when we first arrived in Busan, BUT the owner (or one of the owners) was kind enough to pick us up in McDonalds. He saved our lives. He was so nice and accommodating. a definite 5 star in my book. Take note, no additional charges or whatsoever, it was all just a value added service. 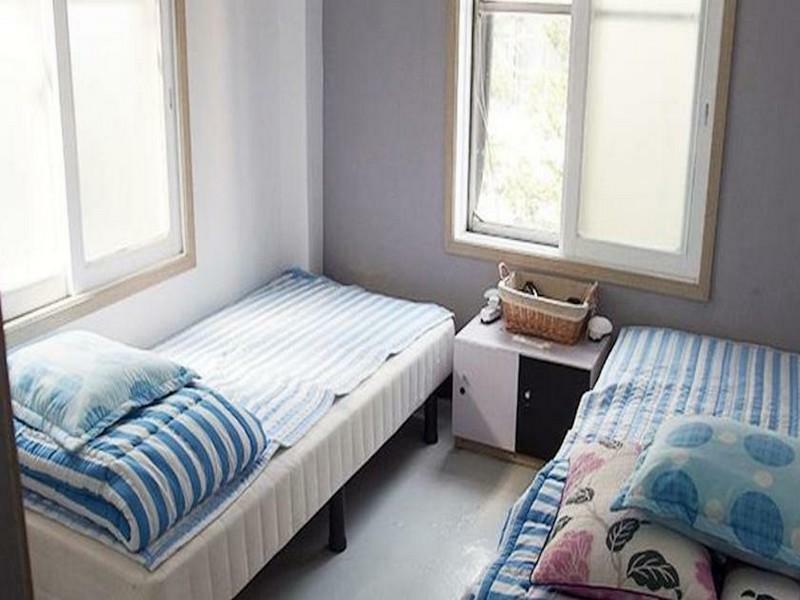 It is really cheap...host is very nice...everything is nice...the only thing is a bit far from metro station...And the name of guesthouse is ‘You R My Sunshine'. Don't find Yusun Guesthouse...Recommend. Kim is really super nice and the place is charming. The place has all the facilities needed. On the night we arrive Gupo, we didnt have an idea where to go because all of us already exausted (long journey from Seoul with a 3 big luggage + cold). Suddenly, an ahjumma and ahjussi trying to help us to reach the guesthouse by call the owner and ask he to pick up us at the station. Thank god the owner willing to came and pickup us there. He help us to loading/unloading our luggage from 2nd floor. Futhermore, The owner willing to send us to airport early morning. I don't think the photos that accompanied the listing matched reality. For the price I paid, (about 20USD), I could have had much, much better hotel rooms in Thailand or Taiwan. I was not expecting the Four Seasons but I was also not expecting Yusun. Arriving late at night, I took a taxi to the guest house. Even the cab driver ( a local Korean) could not believe the location and the building! But, for one night, it was an "experience". The room was extremely cold ( no window panes - only sheets of plastic that were taped over the window slots! Luckily, I only had a few hours before my morning flight. The young man who met me the night before offered to drive me back to the airport in the morning. He was quite nice - probably the highlight of my stay. Needless to say, I am not planning another visit to this guest house. Yusun Guest House and You are my Sunshine is the same place. If I could post picture here, definitely I will. The place is so rundown I could stand being in the room for 1 minute. There is no basin in the toilet. There are spider webs in the room. The pictures posted online are definitely deceiving and nothing near to the actual room. Imagine the picture is taken probably 10 or more years ago and the condition of the room now it's so bad that you won't want to stay at all. I didn't stay and took my bags and left. I don't mind the money I've paid for the room but I can't stand being in the room at all. Seriously, words can't describe the place but everything about this hotel / guesthouse is misleading and lousy to the max. The distance from the subway also not as near as it claimed to be. The surrounding of the place is so quiet that you probably get mugged and nobody is there to help. PLEASE DON'T STAY THERE!!!! I have booked this hotel just for transit a day before to Jeju. As you read the review from others, the most interesting part to stay at this guest house is the good and friendly of the owner. Even for us, the day for our flight to Jeju. Since it is early in the morning flight, since it is difficult to take taxi. He himself drove us to the airport with same charges as taxi. 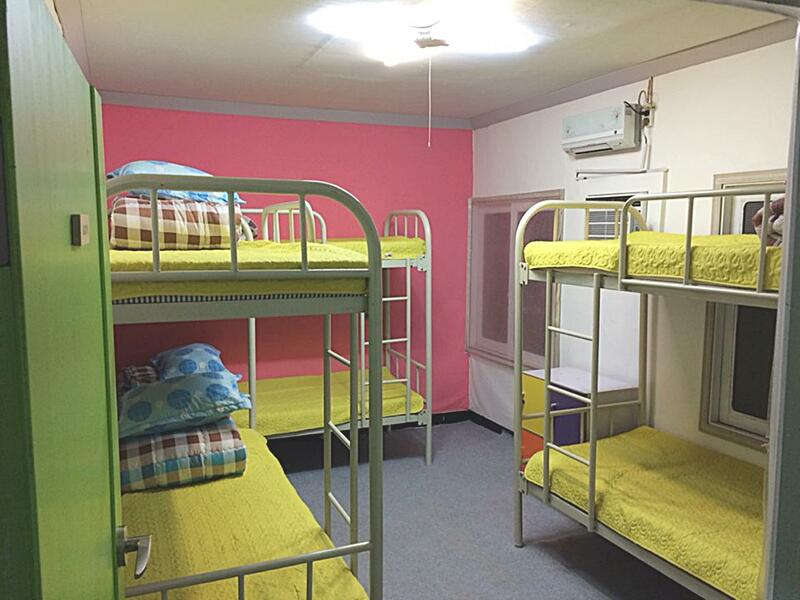 If you dont mind in term of quality of staying, just for relax/sleep, than this the choice. If you mind in term of the luxury or moderate hotel, than this may not you good choice. Kim (hyeonseok(sp)) the manager, the experience and the food. Kim, the owner, is overwhelmingly kind! If I ever go back to Busan, I will go out of my way to visit him. He picked us up from the subway station, took us to the pharmacy and even cooked dinner for us. Simply amazing! The rooms are decent, the staff is nice and the environment is safe. Despite the mosquitos(uncontrollable) everything was perfect. If you ever need a place to stay, this is the place to be!!!! Happy travels! 1) The hotel name is You R My Sunshine. We had a difficult time locating the hotel late at night by typing in Yusun Guesthouse. 2) The hotel is quite far from both Mora and Gupo metro station, around 15-20 minutes walk. 3) The reception counter is at the basement. From the entrance w could only see 1 flight of staircase going up and 1 flight of staircase going down. In addition, the steps are quite high. 4) The picture posted is quite different with the real one we saw. 5) The good things was, the staff was very friendly. He had been very helpful throughout our stay. 6) The hotel is quite clean, especially our private toilet. 7) There is a pantry at rooftop, where you can cook your simple meal there. But we didn't as we spent most of our day outside. 8) Around 10 minutes drive to airport. I really enjoyed the vibe of the guys in charge. very fun and helpful. sadly i went to busan to meet some friends so i could not stay in the common area to talk with more. will come back for sure! Location was not very central but close enough to subway to zoom around town. Was not very clean, bathroom is kinda falling apart. Cramped rooms, therefore hard to clean. Staff were nice though, and guesthouse had good atmosphere. 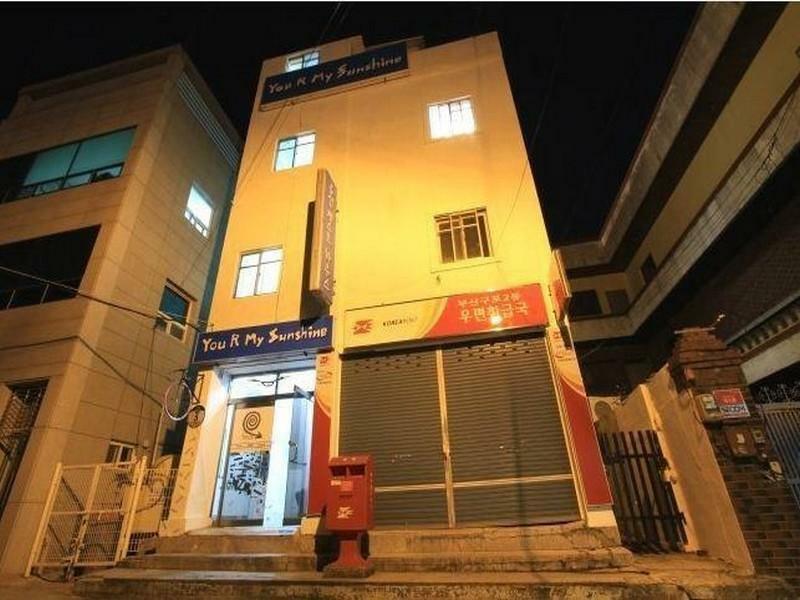 The good point of Yusun Guest House is this Guest House close to Seobu Intercity Bus Terminal. Walk about 3 minutes to bus stop (Buk-gu cheong) and then take bus no.33 (first bus at 5.38am), about 10 minutes to reach the Seobu Bus Terminal, manage to get the first bus at 6am to JinHae for cherry blossom festival. I stay during the first week of April, the room is a bit cold.